Chatsworth Products (CPI) recently announced a new partnership with Pemsa®, an innovator in developing mesh and wire trays and conduits. 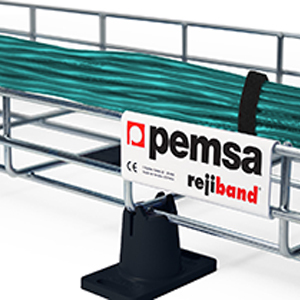 Under the agreement, the Pemsa Rejiband® Wire Mesh Tray System is now available in the United States and Canada ex clusively from CPI. Click here to contact your local Accu-Tech representative, and click here to learn more about CPI.